This brick was reclaimed during the demolition of Clews Street, Middleport in 2008. Clews Street is shown on the 1878 Ordnance Survey map. 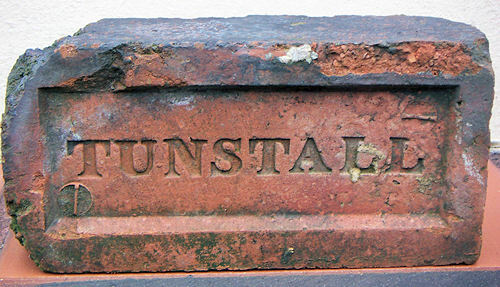 Thought to be made by J. Walker in the Tunstall area in the mid 1880's - possibly in the Ravensdale / Brownhills area. 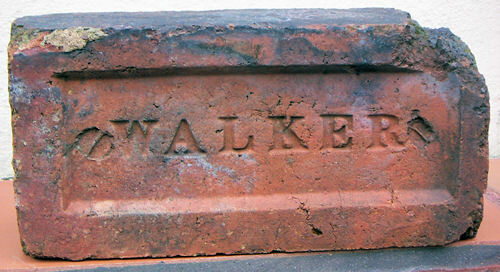 Walkers may also have had a brickyard in Burslem.